September | 2011 | Mediascope, Inc.
Don’t Go Against the Grain . . .
Paper grain direction plays a big role in every printing and binding job. Using the proper grain will ensure a quality job, not only in looks but in durability. A paper’s grain is the direction in which the majority of the fibers lie. The grain is determined during the manufacturing process and is referred to a couple of different ways. Grain short papers are those papers on which the grain runs parallel to the short edge of the sheet. Grain long refers to papers where the grain runs parallel to the longest edge. How do I know which direction the grain runs? Paper mills specify grain a couple of different ways. 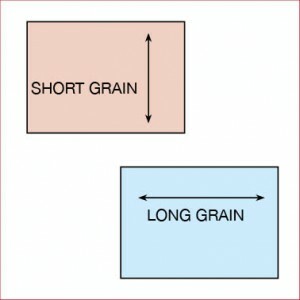 In addition to calling papers grain long or grain short, they may underscore the dimension number which runs parallel to the grain. For example, 12″ x 18″ specifies that the grain runs along the 18″ edge, or is grain long. Many mills list the grain direction last when listing dimensions but this may fluctuate from mill to mill. If the paper isn’t marked and you need to determine grain, try folding a piece of paper twice, once with the fold parallel to the long edge and once with the fold parallel to the short edge. One fold will be a cleaner edge than the other. The cleaner edge is folded with the grain. What grain should I use? As a general rule of thumb, if bindery processes such as folding, perfect binding, or mechanical binding are part of the finishing work, always try to have the grain parallel to the folding or binding edge. Not only will you have a better looking final piece, but in the case of books, the finished product will be more durable. Never mix grain directions within a book as the different grain papers will actually work against each other. If no finishing other than cutting is needed, most pieces benefit from printing on long grain stock. Long-grain stocks will give business cards, postcards, posters, letterhead and other similar items stability and make them resistant to drooping or buckling. Economics also play a role in grain determination. The most efficient cut may not leave the sheet in the proper orientation for printing and/or binding. In this case, it is up to you to find a balance between design, printability, and price. Printing can be a large part of your budget, especially if you do promotional printing. Not all printing needs to be expensive, however. If you look at these general ways to save money on most printing jobs, you’ll have some money left over for special touches (see our blog, Special Touches in Printing) on pieces which deserve to be highlighted. Although this sounds like a no-brainer, you’d be surprised how many people wait until the last minute to think about their printing needs. Last-minute printing can result in poorly executed designs, mistakes with no time to fix them, and rush charges assessed by the printer. 2) Design your piece without bleeds. This suggestion is especially valuable in digital printing. Bleeds require a larger size paper and additional cutting time. For example, consider a 4-page brochure with a folded size of 8.5 x 11. If there are no bleeds, the piece can be printed on 17 x 11, folded (most likely on the digital press) to 8.5 x 11, and no cutting is required. If the piece has bleeds, however, not only is the paper size increased to accommodate the bleeds, but excess paper needs to be trimmed away. 3) Print only as many as you need. Know what your needs are and print only as many as you need. One thing to keep in mind is that industry standards allow for 10% over or under the requested quantity. In offset printing in particular, unless you specify a different quantity, you may automatically receive 10% over. Due to the many steps involved in offset printing (and the resulting bindery work), many extras are usually printed to allow for spoilage which may happen at each step. If you’re printing a large number of pieces, it’s okay to ask for a smaller percentage of overs — say 5% — but keep in mind that due to spoilage, it could mean actually receiving less than the requested quantity. 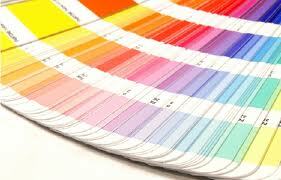 Digital printing has made it much more affordable to print small quantities. If you’re not sure of the quantity you need, make your best guess and know that you can always print more digitally without breaking the bank. 4) Get the design right the first time! If you have not been trained in preparing files for print, consider hiring a professional to create the file. The time a printing company spends on making your file print-ready usually charges out for more per hour than a designer would charge. A professional will also have the software such as InDesign and Quark with which printers prefer to work. Before submitting the piece to a printer, make sure it is correct in every way — size, color, and content. Changes at the proof stage are expensive. 5) Discuss your budget concerns with your printer. In terms of opacity and brightness, the quality of paper has improved over the last several years. Paper costs vary widely but, due to the improvements in paper, it is possible to use a less expensive paper without affecting the look and quality of your piece. Many printers have in-house stocks which are papers bought in bulk for better pricing. Before specifying a paper, tell your printer that price is a factor and ask them what they recommend. 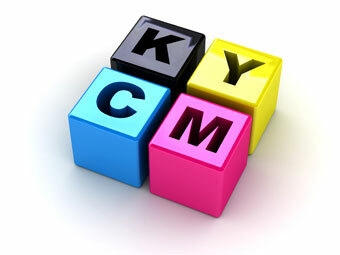 Your printer can also suggest printing, binding and coating methods which are most cost-effective for them. Although it may be tempting to do something different, using an unusual size or shape will add to the cost of the piece. Papers are manufactured to standard sizes geared towards getting the best yield from a press. Likewise, what have become standard sizes for brochures and other printed pieces are so because they result in the best yield from typical paper sizes. 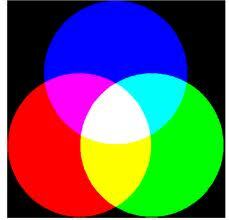 Technology has changed and high-resolution color-correct proofs are usually no longer needed. Most printers now charge extra for printed or hard-copy proofs. If an electronic proof suffices, it is a great way to save a few dollars. 7) Remember, per-job pricing isn’t everything! Relationships go far in the printing world. If you consistently work with one printer, you may see savings based on overall volume. Not only that, but your printer knows your likes and dislikes which means they ask questions when something seems off. This means better results for you, and is a win-win for both you and your printer. Sometimes printing projects deserve a special look. Perhaps you are seeking a touch of elegance or perhaps you just want something different from what’s been done before. What can you do to make your piece look extra special and stand out from other printed pieces? Here are a few suggestions. Embossing is a great way to add impact and elegance to almost any printed piece. Embossing raises the surface of the paper by using a die and counter die to squeeze the paper fibers between them. While “embossing” raises the image, “debossing” lowers the image from the original surface of the paper. If the embossed area has not been printed, it is Blind Embossed. Embossing (and debossing) is used on borders, images, logos, or type to create attention to those areas. Foil Stamping is done alone (Flat) or in conjunction with Embossing or Debossing (Combination Stamping). The foil is fused to the paper by heat and pressure. Gold, silver, holographic, and other metallic colors are used. This look adds a texture and shimmer to selected areas. Die Cutting allows shapes of all kinds to be cut out of paper. While bindery cutters provide straight edges, die cutting allows for circles, curves and any combination of contours. Sometimes the finished piece is die cut out of the sheet; other times words or images are cut out of the finished piece in order to allow the paper or colors from the sheet below to show. 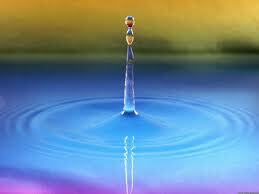 A true watermark is a translucent image added to the fibers of paper during the manufacturing process. When watermarked paper is used to print letterheads or special documents, it conveys a subtle sense of prestige. It also provides a level of authenticity as a watermark means the document is an original. Although watermarks quite often reflect the name of the paper, watermarks can be custom made to reflect almost any image, logo, or type. An image which looks like a watermark can be added during the printing process but it is difficult to achieve and maintain in the desired density throughout the entire run on press. Last week we talked about coatings in our blog, Coatings for Printing. In addition to protecting the printed piece from scuffing, dirt, and moisture, some coatings are used to accentuate areas of print or to create a special visual effect. Varnish comes in gloss, satin and dull finishes. A gloss spot varnish is sometimes used to make something stand out from a dull or matte background. If the background is glossy, a dull varnish can be used in certain locations to provide contrast against the gloss. Bright blues, gold, silver, burnished copper, bright reds, and other colors are available in metallic inks. Metallic inks are created with fine reflective metallic particles in them to create a shine and reflectivity you don’t see in most inks. Next time you want a printed piece that is different than others, consider adding one or more of these options. While there is an extra cost to utilizing these special touches to print, quite often the extra dollars are worth it. Not only will your piece be noticed, but the extra attention to detail will be remembered and appreciated. You have a design for your printed piece, and you and your printer have discussed and chosen the appropriate paper(s). You are all set, right? Well, not so fast. Have you thought about applying a coating to your piece? Not all printed pieces require coatings. Coatings are applied primarily over color printing only, and for two reasons: 1) to provide protection against moisture, fingerprints, and the types of scuffing or scratching which happen with normal, everyday use; and 2) for aesthetic reasons such as adding a shine, depth or interest to your piece. Keep in mind, however, there are times when you specifically do NOT want to apply a coating. Coatings can interfere with the ability to write on a piece in pen or pencil, plus they can be problematic with foil stamping, addressing on mail pieces, and gluing on bound pieces. There are four standard types of coatings: varnish, aqueous, laminate and UV (ultraviolet). All forms of coatings are available in gloss or non-glossy formats (dull or matte). Varnish and aqueous coatings are usually applied in-line during the offset printing process which make them cost-effective and quick forms of coatings for these pieces. UV coatings are sometimes applied in-line with printing and sometimes as a bindery process, depending on press capabilities. Laminates are almost always applied as an off-line bindery process. Applying varnish is an inexpensive way to add gloss to your printed piece. Although the surface is not as hard as some other coatings, it does offer some protection against smudging and moisture. Gloss varnish adds to the sharpness of images by reflecting more light while matte or dull varnishes increase readability by reducing glare. Drawbacks to varnish are that it is not an environmentally friendly coating and it can yellow paper over time. Aqueous coatings are quick-drying, water-based, and environmentally friendly solutions which are particularly resistant to fingerprints and smudges. This coating offers more protection than varnish, and provides a shine that falls somewhere between that of varnish and UV. These coatings are faster drying than varnish, but would not be considered as moisture resistant. Laminate is applied either as a film-based or a liquid-based coating. Either way, laminates protect the sheet from moisture and provide a strong washable surface. 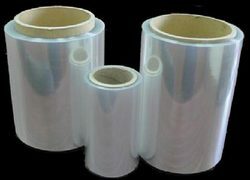 Film lamination has advantages over liquid coatings in that it will not flake, plus it protects the ink from cracking. Laminating over digital printing requires special films so be sure to discuss this with your printer. Laminate films are available in a variety of finishes (including dry erase) and textures such as linen. UV is applied as a liquid coating and cured by ultraviolet light to a high-gloss hard finish. Different liquids are applied for different types of toners or ink so this is another form of coating to discuss with your printer. UV coatings are solvent free, and as they are cured by light instead of heat, they are more environmentally friendly than some other forms of coating. So there you have it — a short outline of the types of coatings available for print jobs. Talk to your printer about what types of coatings, if any, would work best for your job. A number of factors including the papers used, the end use of the product, shipping considerations, and the inks or toners used on your piece will all play into deciding which coatings to consider.